I finally saw a Redline in person recently, and it was absolutely stunning. Gorgeous. I really like my redline red! It does look great in the sun. Man I have to agree with you. Trying to get my wife to take tomorrow off so we can go close this deal. The wait till Saturday is killing me. Thanks for everyone who has contributed to the thread, I appreciate all the pictures. Keep them coming. Thanks for posting a pic of my car! Yes,Redline is a difficult color for photographing as the pearl metallic fools the camera's color sensor, but it's really a deep pearl red. 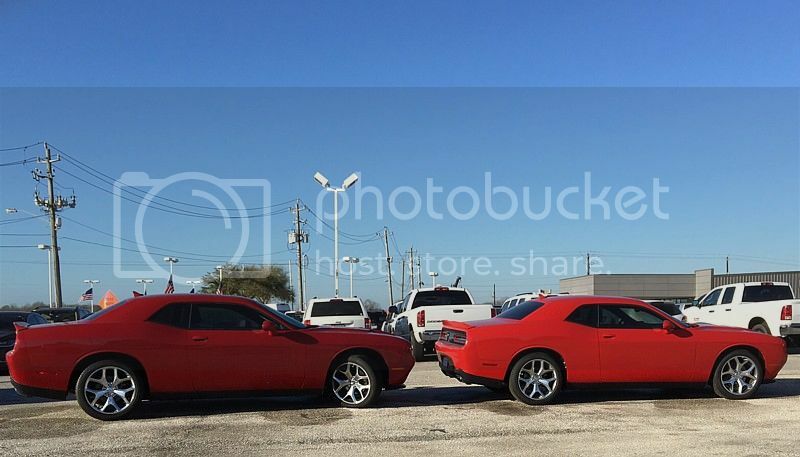 It's blood red in the shade, but a bright candy metallic in the sun. When I took that pic, that was the sunny side...then I went around the car and took the shady side to show how the color changes. TorRed is a non-metallic solid red, with a bit of an orange component to it. 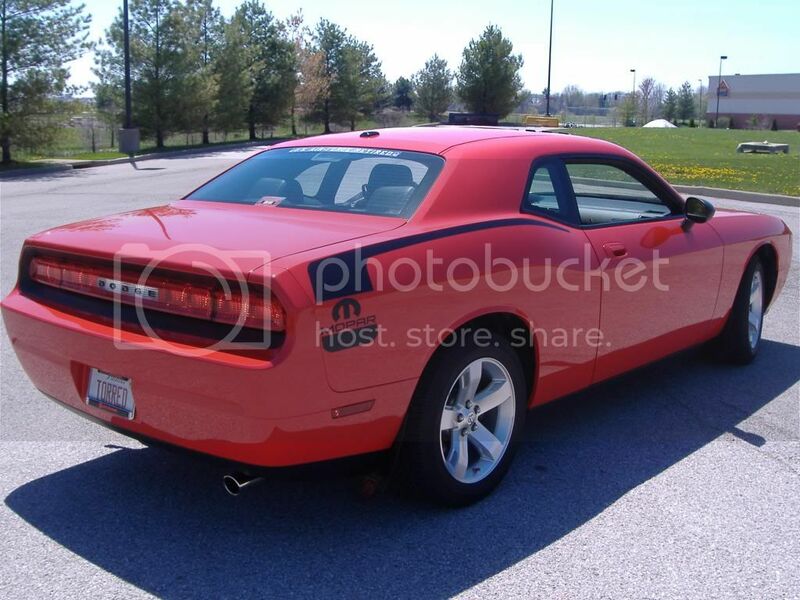 I love my Redline Red Challenger. However, if you want a red that pops all the time and there is a lot of rain where you live like you mentioned, perhaps Torred would suit you more. I love the way the color changes depending on light, and it does attract attention regardless of the lighting. Just Friday, leaving a parking garage, the young woman attendant in the booth was gushing about how "beautiful" my car is.